What’s more, Frill is super low in fat, high in fibre and contains no added sugars unlike many frozen desserts and sorbets on the market – the sweetness comes from the fruit inside, which is around half the sugar found in regular ice creams. I was lucky enough to be paid a visit by Frill at my flat in Manchester while up on a supplier visit, so what happened? 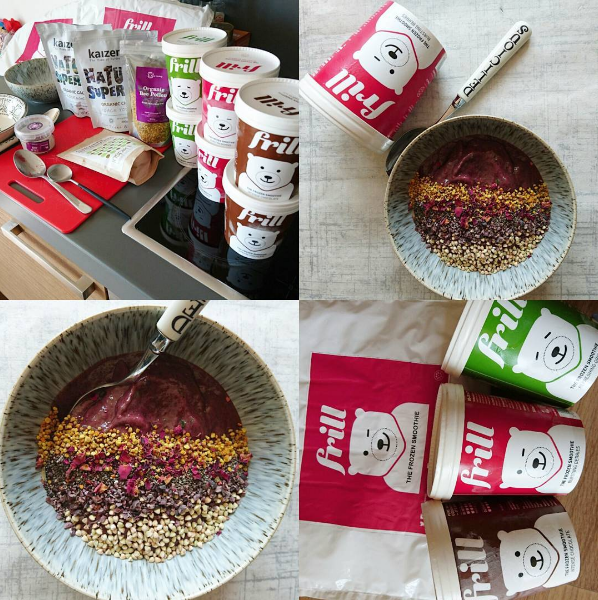 Well, of course, with a very kind delivery, I whizzed up a delicious and super tasty Smoothie Bowl – check it out on my Instagram. 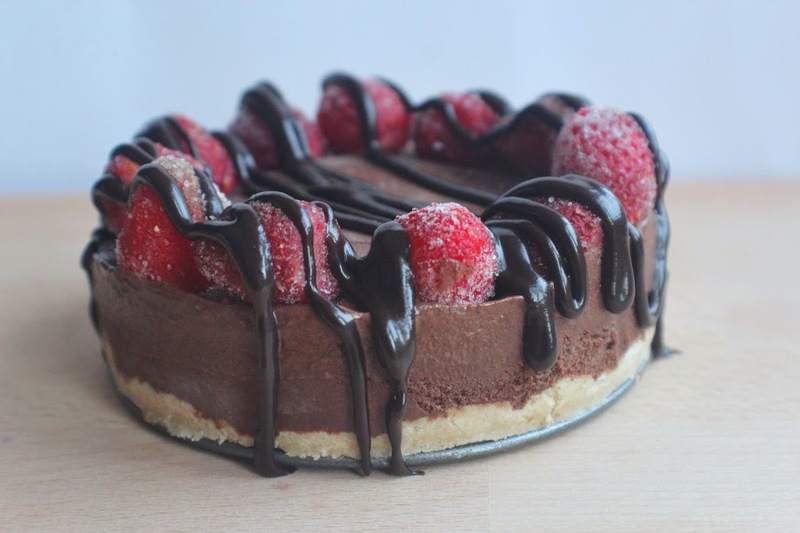 And not only that – I made an indulgent but healthy DOUBLE CHOCOLATE CHEESECAKE. Yeh. 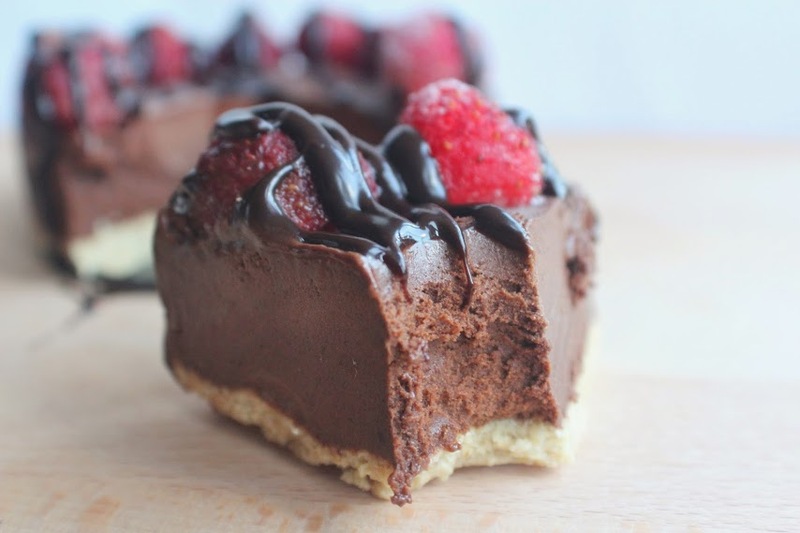 Dairy-free, no refined sugar, and pretty clean ingredients – plus it’s so easy to make. What’s not to love! Tip the whizzed up oats in a bowl then stir together with the protein powder/almond flour. Pour in the melted coconut oil, chosen syrup and vanilla and mix together to form a dough – you might want to add a dash of almond milk or water if a little too dry. Now press into a mini loose-bottomed cake in and smooth out evenly. Keep chilled. Remove the tub of Frill from the freezer about 10 minutes beforehand. Scoop out into a blender and add the other ingredients. Whizz up until thick and smooth. Pour this over the base then arrange the strawberries in a pattern then freeze for at least 4 hours. 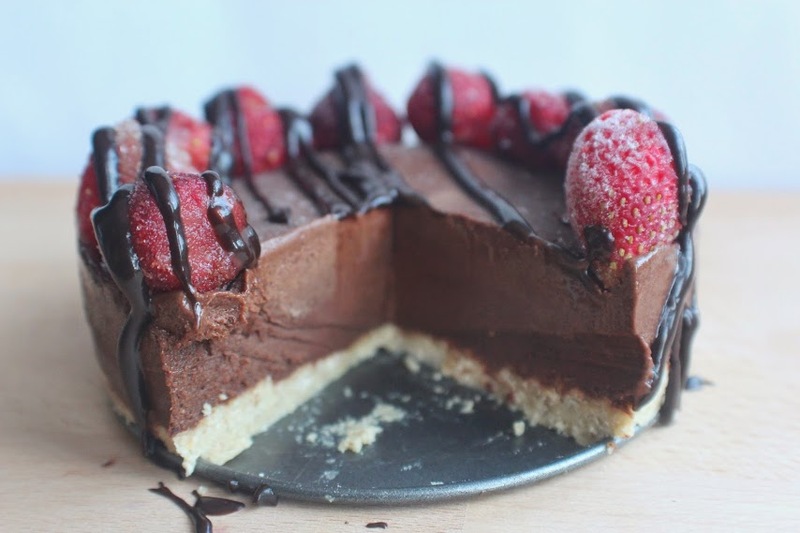 When you’re ready to serve the cheesecake, remove from the freezer and keep in the fridge for no longer than 20 minutes. Meanwhile gently melt the coconut oil and chosen syrup in a pan, then remove from the heat and whisk in the cacao powder to create a glossy sauce. 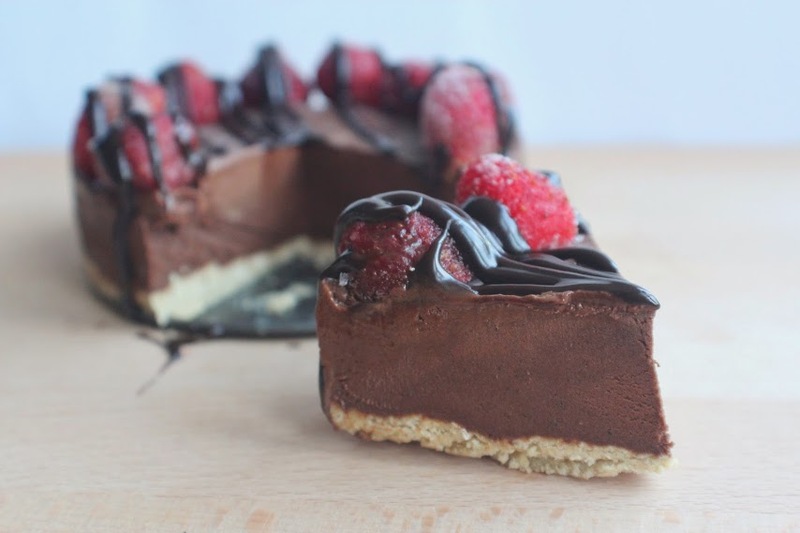 Use a spoon or piping bag to drizzle over the cheesecake, now slice up and serve! Keep any leftovers (not that there will be any) in the freezer for up to 1 month. Follow Frill on Twitter, Facebook and Instagram.